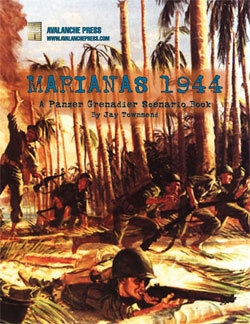 Panzer Grenadier: Marianas 1944 is the sort of book supplement I’ve wanted us to publish for a while now: it has a tight, clear focus and wasn’t announced until it was already in production. A fine set of scenarios, beautiful artwork and some outstanding historical background come together in a book I’m very pleased to publish. Here’s why. Jay Townsend designed the 30 scenarios as an expansion set for Saipan 1944. That’s the only game needed to play these scenarios – no pieces or maps from any other Panzer Grenadier game are required. It won’t always be possible, but this is the model we’d like to follow for future book supplements. Marianas 1944 picks up exactly where Saipan 1944 left off, taking the fighting to the other major islands of the Marianas chain, Tinian and Guam. It turns Saipan from a pretty substantial game on the conquest of one island into a large-scale study of tactical combat throughout the Marianas chain. 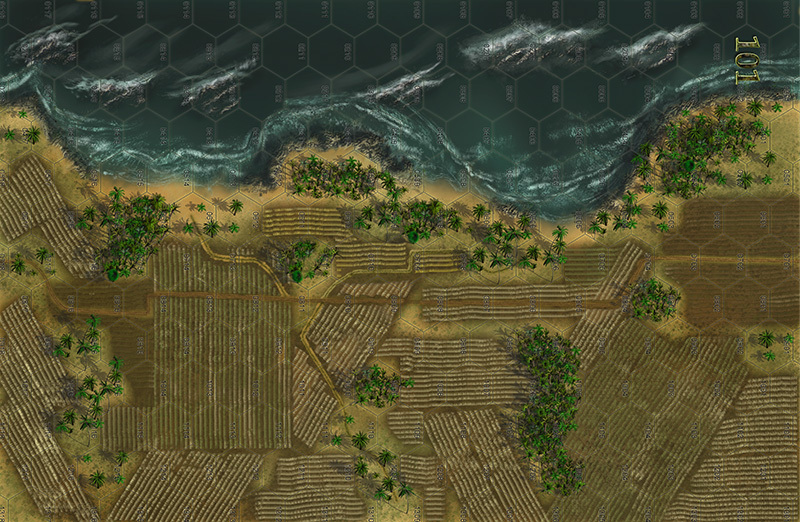 The scenario set is similar to that of Saipan: fighting on the beaches, fighting in the jungles, and fighting amidst the cliffs and caves. Both sides have tanks, though the Japanese machines are terrifically outclassed by the American Shermans and even by their Stuarts. There are also the ubiquitous banzai charges launched by the Japanese on all three islands once they’d reached the end of their tether. Ten of the scenarios are set on Tinian, the smallest of the three islands but ultimately the most important – it would be from here that American B-29 bombers took off to devastate Japan, including the planes that dropped atomic bombs on Hiroshima and Nagasaki. Nineteen come from the invasion of Guam, an important target for the Americans not only for its strategic import, but because of its pre-war status as American territory that needed liberation from the Japanese. The remaining scenario is easily the most awesome of all 70 in the combined game: the 1941 Japanese invasion of Guam. I like scenarios with weirdness within them, and in this one the weirdness abounds. On the American side are a handful of poorly-armed Marines (equipped on the peacetime establishment) and the entire Army of Guam – all seven pieces’ worth. Officially they’re the Guam Insular Force Guard, the territorial equivalent of the National Guard, but I like the sound of “Army of Guam.” Each side also has a gunboat, and this allows what I believe is the first opportunity for a Panzer Grenadier naval battle. Many of those 30 new scenarios make use of two new maps, done by Guy Riessen in the same style as those from the Saipan 1944 game. They bring the Panzer Grenadier family of maps into the triple digits, carrying the numbers 100 and 101 (the big numbers are kinda deceiving if you’re keeping score at home – 38 map numbers have been assigned to games still at the production, development or design stage, and the map sequence includes games from the Infantry Attacks and Panzer Grenadier (Modern) series). The “Tinian Map,” numbered 101, is a beach map with a new water-bound terrain feature, reefs (they stop landing craft, making the Americans go around them). The land portion of the map is taken up by canefields. Many, many canefields. The Japanese like their sugar. 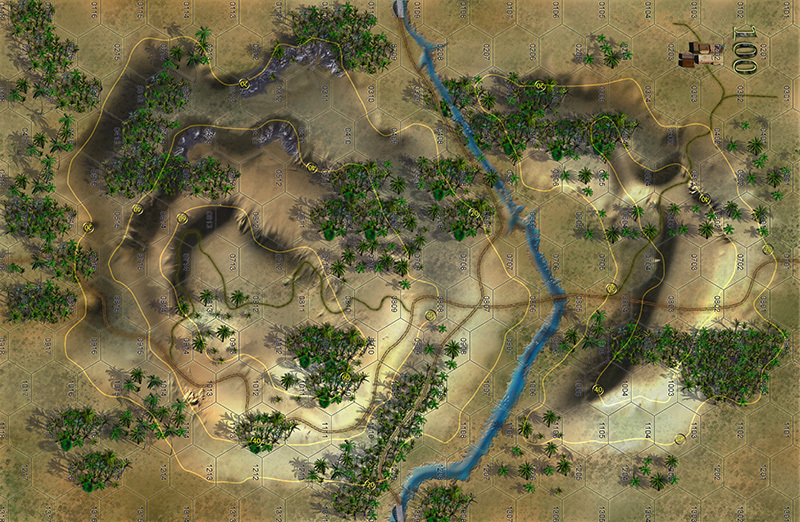 Map 100, the “Guam Map,” may be the most attractive of the six (counting Saipan’s maps): it’s a hill map, and in a twist for Panzer Grenadier is features a stream crossing the board’s short axis. And then there are new pieces, all die-cut and silky-smooth. There are 24 of them, featuring Japanese armed with submachine guns, a captured Sherman tank in Japanese colors, some more Japanese heavy artillery, Japanese and American gunboats, a flame-throwing Marine Sherman, Japanese truck-mounted anti-tank and anti-aircraft guns, some pre-war Marines and, best of all, the entire Army of Guam. That makes the second armed service shown in Panzer Grenadier in its entirety (following the appearance of Luxembourg’s entire army in a long-out-of-print Golden Journal). I’m sure it won’t be the last. The Guamanians are some of the best-looking pieces in the series, sporting their unique Guam coat of arms. The pieces themselves are laser-cut, scorchless and sootless. All of that stuff comes together into the sort of book I want to see us publishing on a regular basis: good game design, good history and good art, all with a clear focus on their subject. Marianas 1944 is a model for our little company’s future, and I think you’re going to really enjoy it.